Adults provide alphabet blocks to children to help them learn the 26 letters of the English alphabet and the ten numerals of the number system. 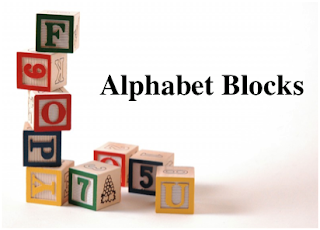 However, if one observes children playing with alphabet blocks, they will sooner than later notice that the blocks are also used to build structures, especially towers. Action knowledge is what a learner learns (knows) by doing. Action knowledge is easily observed in preschool and older children by watching them stack blocks or build towers. object on a support, like a table top, so that it doesn’t fall. Every parent knows that this action knowledge takes many spilled cups of juice or milk for the toddler to master. In the diagram, the center of the cube is the center of gravity (and in this case, the center of mass) of the cube. Expert knowledge accepts that, for all practical purposes, all of the mass of the cube can be considered to be concentrated at that point. Since we, as adults, have expert knowledge, we can use the center of gravity of the cube-shaped block to think about the stability of a cube. 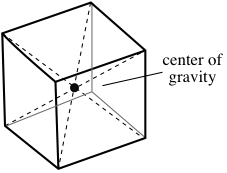 In the diagram, a cube (a) is shown in front view. The base of the cube is colored red. The center of gravity (cg) is the small circle and the arrow indicates the direction of the force of gravity (down, towards the center of the earth). 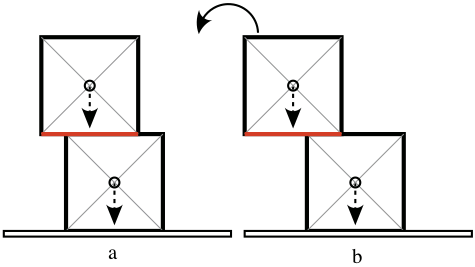 If the cube is tilted to the left, but the cg still falls within the red baseline (b), the cube will fall back to its original position (c). 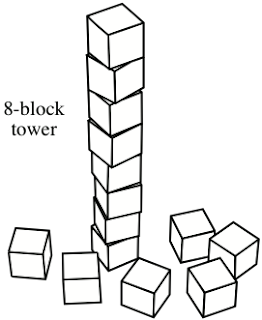 In this scenario, the cube is stable. 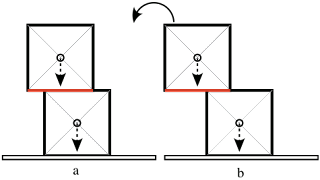 However, if the cube is again tilted to the left but the cg falls outside of the red baseline (d), the cube is unstable and will tumble to the left (e). If the cg of the top block is over the top face of the bottom block, the top block will be stable (a). If the cg of the top block lies off the face of the bottom bloc (b), the top block will be unstable and will tumble to the left. Through extended play, toddlers and preschoolers learn (action knowledge) to stack a tall tower of stable blocks. The height of the tower can be taken as a measure of the youngster’s block-building skill. In the next post I will share a block-building session with Emma, Kate, and Asher, three grand kids visiting from their home in Georgia.